Here she is, Daisy. Ready for adventure, defending against all comers. Maybe she is not quite ready yet. She may just make intruders smile themselves to death, she is so cute and fluffy. This dog is growing at an alarming rate, and at approximately 10 weeks old is nearly the size of a Spitz. In this picture she is just home with us having just left her litter mates at 8 weeks. She is actually much bigger now. Once she grows up a little, about 8 months actually, she will patrol the farm property keeping predators away from the livestock. By then she will hopefully have a friend, a second LGD to give her backup in those coyote show downs. 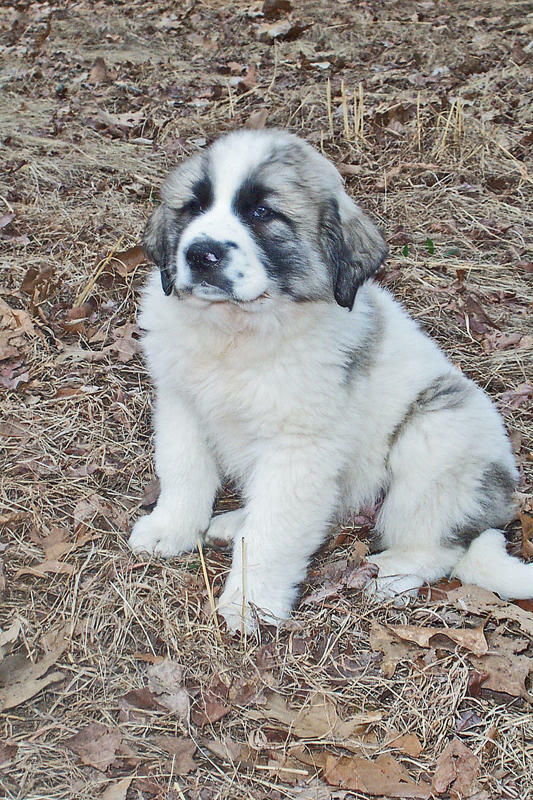 Most predators won't tangle with two Great Pyrenees. 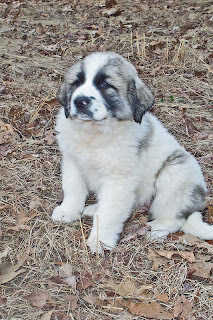 Daisy is a Great Pyr./ Anatolian Shepherd cross we got from Nature's Harmony Farm in north GA.